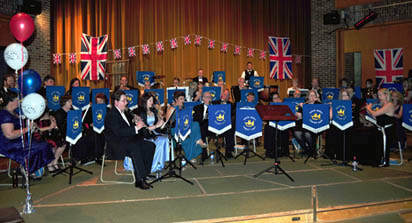 The Band was founded in 1976, with the aim of forming a true community band, allowing musicians of all abilities and ages to meet together to improve their playing, both individually and as a band. The band has evolved over the years, but still remains true to this ideal. We have had the pleasure of being led by 8 different Directors of Music in the band's 41 year history. The band's founder, Tom Prior, started the band as a youth band to encourage young players to play music. He continued as MD until 1983. He was followed by Vic Sandoe from 1983-1985, Kevin Mayhew from 1985-1989, Paddy Grey from 1989-1993, Jeff Anderson from 1993-2001, Ian Hooper from 2001-2007, and Kemuel Spence from 2007-2008. Paul Speed took over as our current MD in 2008. Many of our MDs have been serving members of the armed forces, so for some time we also had Assistant Musical Directors to take over when our Musical Director was unavailable. These included Mark Picken from 1997-2002, Martyn Greenway from 2003-4, Gordon Leask from 2004-2007, Pete Bateman during 2007 and Stewart Lewins from 2009-2012. 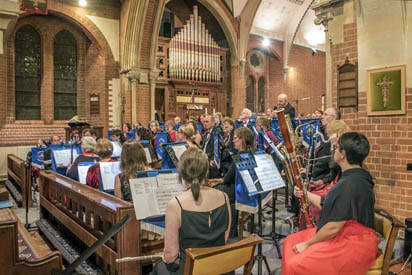 In September 2013 the band moved to the village of Mortimer in West Berkshire, as its success in recruiting more members meant it was no longer able to continue in the small hall in the village of Englefield on the estate of Englefield House. Now in 2018 we have taken on the challenge of introducing our vibrant and fun-loving group of musicians to the very active village community we have adopted as our rehearsal base for the foreseeable future. 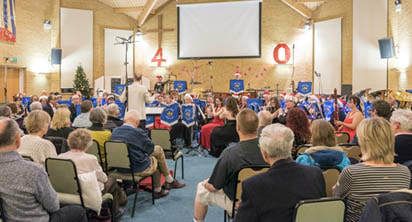 We perform three formal concerts each year in spring, summer and winter, and over the past few years these have primarily been based in Fords Farm, Calcot, or in Mortimer. In 2011 we put on a special 35th anniversary concert at Leighton Park School in Reading with a "summer proms" feel to it, and have also put on events at the Abbey School in Reading since then. In July 2015 we brought our first full concert, "Music for a Family Picnic", to Mortimer. We met many of the residents at the event where we performed a wide range of music in a large marquee on the Fairground. Performing alongside the band were the children from Year 6 at Mortimer St John's Infant School. The audience were invited to bring along their picnics, had the opportunity to sit amongst the band for a “surround sound” experience during several of pieces of music, and helped create the percussion effects in the 1812 Overture by bursting paper bags to produce the "cannon fire". We continued with this event in 2016, where we premiered "Highdays and Holidays: The Mortimer Revel", a piece of music specially commisioned by us for our 40th Anniversary, and again in 2017 where we had the theme of "Heroes and Villains" for the event. 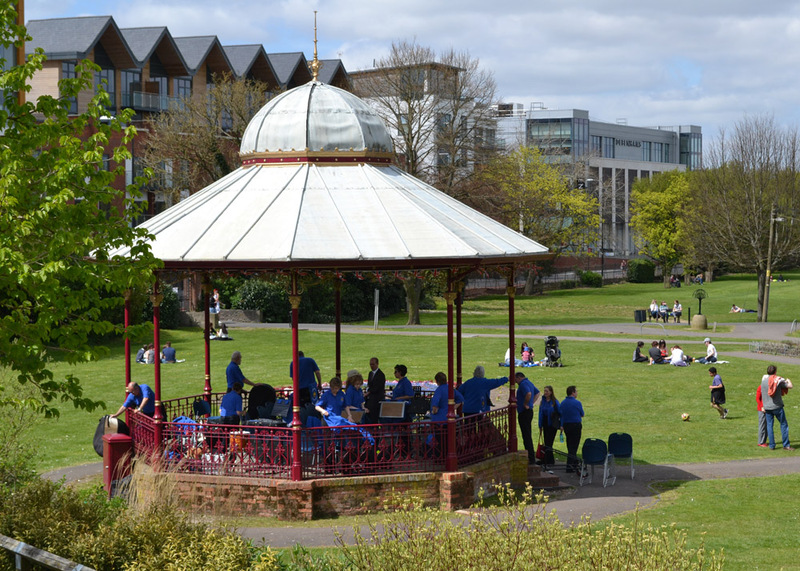 Each year we aim to perform at different bandstand events in the Berkshire and North Hampshire area as well as travelling to venues on the south coast. 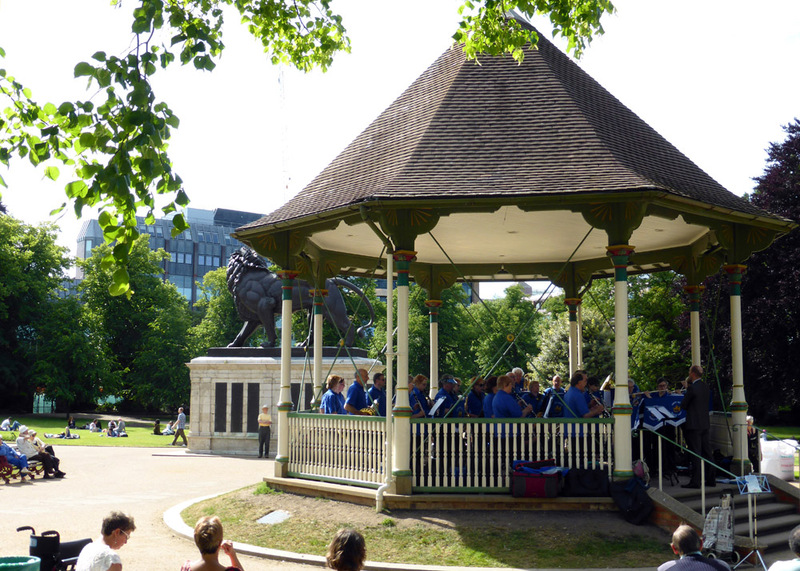 Regular bandstands over the past few years have included Reading’s Forbury Gardens, Victoria Park bandstand in Newbury, Eastrop Park in Basingstoke and further afield in Eastbourne, Bournemouth and Brighton. 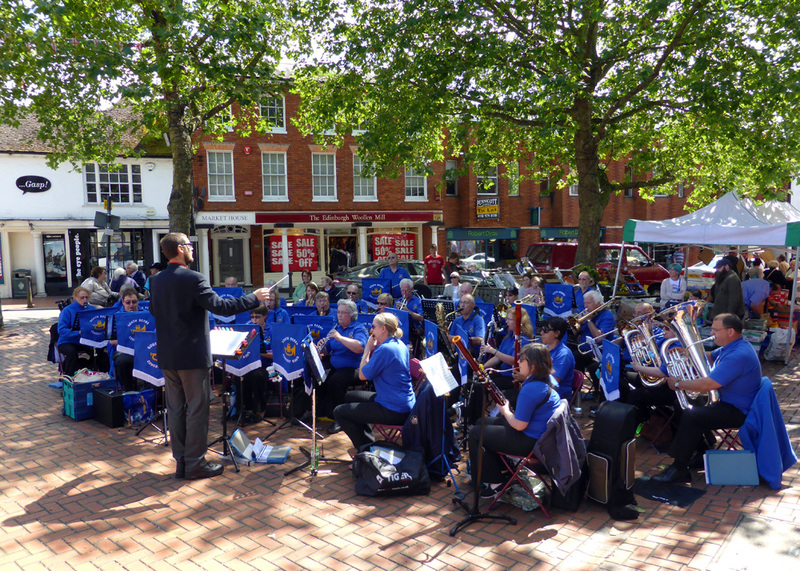 From 2015 we performed in two new locations for us: on the bandstand by the river at Mill Meadows in Henley, and beside the Town Hall in Wokingham's Marketplace as part of their Sunny Saturdays events. 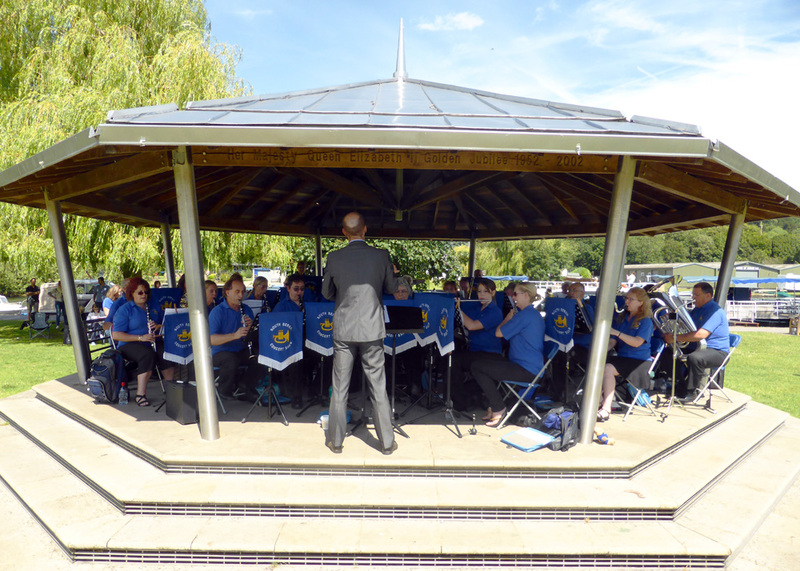 In addition to our regular formal concerts and at bandstands throughout the region, some of our musicians have been playing in smaller groups at local events in Mortimer. The sax group, SF Sax performed during the Silver Sunday event, organised for the older members of the village, which took place in October 2014. 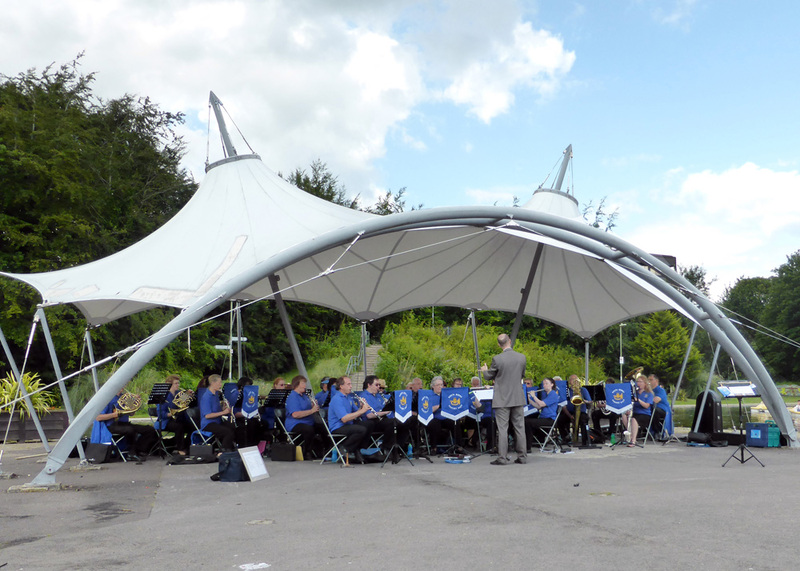 They have also taken part in the village festival, Mortimer Fun Day, which is held in July each year, and have taken part in the annual Ron Goodwin Festival of Music at St Paul's Church in Ashford Hill since 2015. Over the years, the band has been on several European tours, including 4 in the 1990s and early 2000s. We went to Holland in 1995, Rhineland in 1997, Paris, including Disneyland in 2001, and back to Holland again in 2003. We then had a break of 8 years before our next tour. We have been on tour 4 times in recent years. 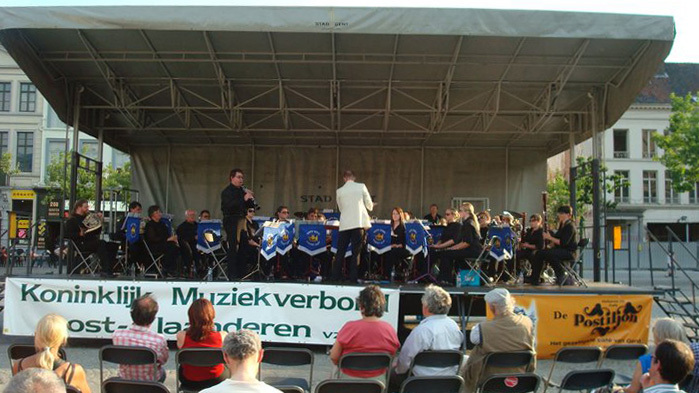 In 2011 we celebrated our 35th year as a community band by going on tour to Belgium, where we performed 3 concerts in Diksmuide, Ypres and Ghent. In May 2013 the band embarked on another European tour, this time to the Black Forest region of Germany, where we performed 3 concerts over 3 days in different venues throughout the area. We went back to Belgium again in May 2015, performing outdoor concerts during the afternoons in Bruges, Ostend and Ypres. 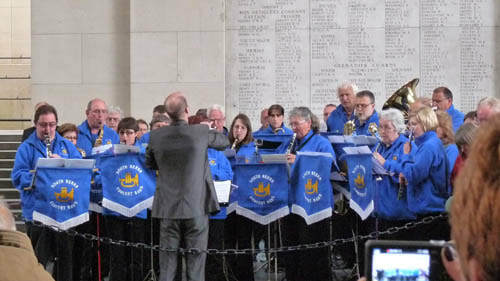 The highlight for all of the band members was being given the opportunity to be part of the deeply moving Last Post Ceremony at the Menin Gate, where we played Nimrod and the Air from the New Baroque Suite whilst the wreaths were being laid. Our most recent European tour was to the Rhineland area of Germany in May 2017. 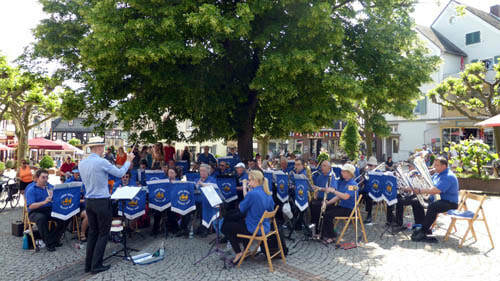 We gave concerts in Rüdesheim am Rhein, Linz am Rhein, and Boppard in very hot weather. The group also enjoyed a cruise along the Rhine and cable car rides in Rüdesheim and Koblenz. 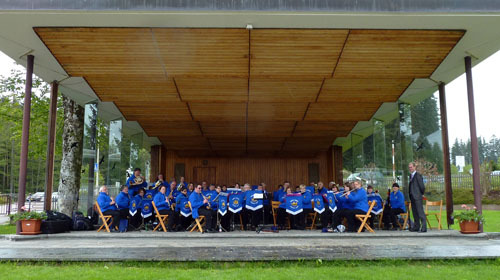 In November 2012 the band entered the Community Band section of the National Concert Band Festival in Southampton and gained a Gold award for its performance. This goes with a previous gold award in 2010 and silver and bronze awards before that. In 2014 & 15 we decided to challenge ourselves to do something different so held our own “Adjudication Day”, with the chance to perform for an adjudicator and then work on the pieces with him to improve them even more. We were pleased to be told that we had shown good improvement on some of our weaker areas and remain at Gold award standard. In December 2017 we went one better and achieved a top Platinum Award at the London and SE Regional event at the Cardinal Vaughan School in London.